Victor Hugo once stated that; “As the purse is emptied, the heart is filled.” That was Air2’s approach to their 2018 charitable giving program. It was diverse and broad and supported everything from hurricane victims, multiple local community organizations to the elderly in crisis. 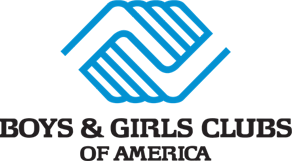 Several of the local non-profit organizations are near and dear to Air2 employees, including the Boys and Girls Club and the Boy Scouts of America. Every year Air2 participates in corporate fundraising events like a Saltwater Fishing Tournament benefiting Kids Unlimited and the Cystic Fibrosis Foundation (through CenterPoint Energy) and Entergy Louisiana’s The Power to Care, a local non-profit providing emergency utility bill payment assistance to seniors and disabled individuals in crisis. Air2’s aerial hurricane recovery work offers the opportunity to give back directly to those most affected by these storms. This year Air2 donated to Feeding Florida Food Bank, Operation USA – Hurricane Florence, Operation USA – Hurricane Michael and The Food Bank of Central and Eastern NC.